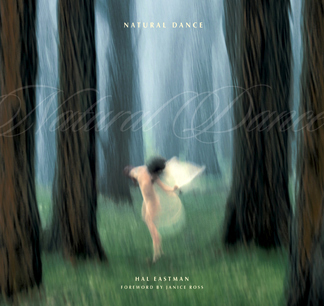 Natural Dance is an exceptionally high quality fine art dance photography book. It includes 65 photos of women dancers freely expressing intuitive movement in natural settings, unbounded by choreographic constraints. They are accompanied by nature images showing the synchronicity of dance and nature, as well as quotes from famous historical dancers. The book is of unusually high quality, using a stochastic printing process of 10 microns on 115# Utopia Premium Silk text paper. It has been favorably reviewed by leading dance critic Janice Ross, recognized photographers Sam Abell and Ruth Bernhard, and legendary dancers Lori Belilove and Anna Halprin.